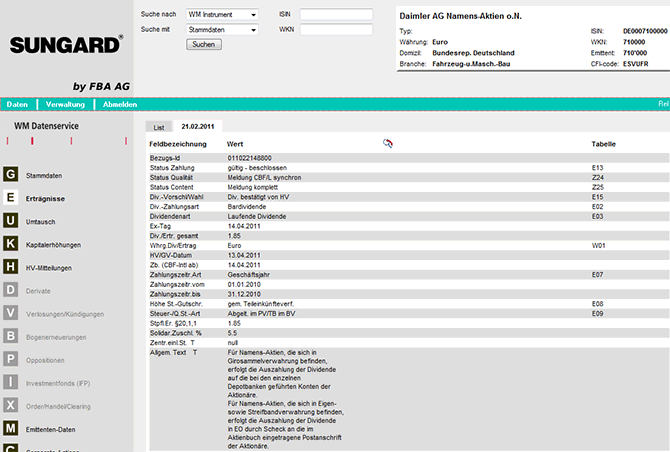 This product allows viewing the data delivered by the data provider Wertpapiermitteilungen (WM). All messages and updates are stored on FBA's WM-Database due to which it is possible to view all changes delivered by WM (History) and to retrieve data efficiently. 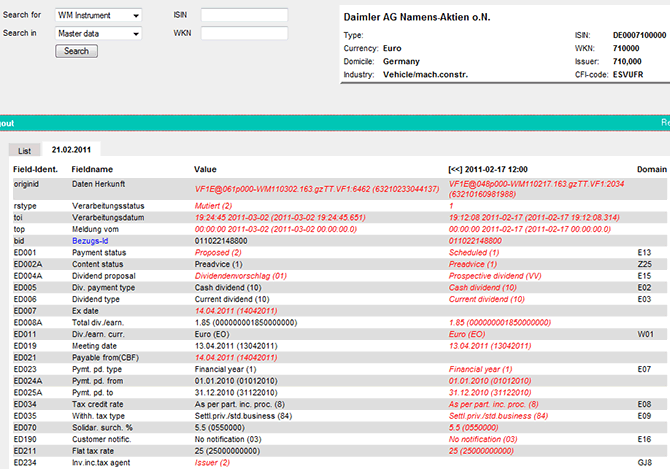 Analysts and Back office users make use of this browser as a tool to analyze which data is to be integrated/used by them as well as to find the attributes referenced in the WM-Data dictionary in data delivered by WM.